You have heard this orally, but let me add a little prose here. I have asked you to produce 100 figurative images at a scale of AT LEAST 11 x 14 inches. Whole people, not just heads, though a few portraits will be fine. Jessie Gillespie, As Bad as She's Painted? 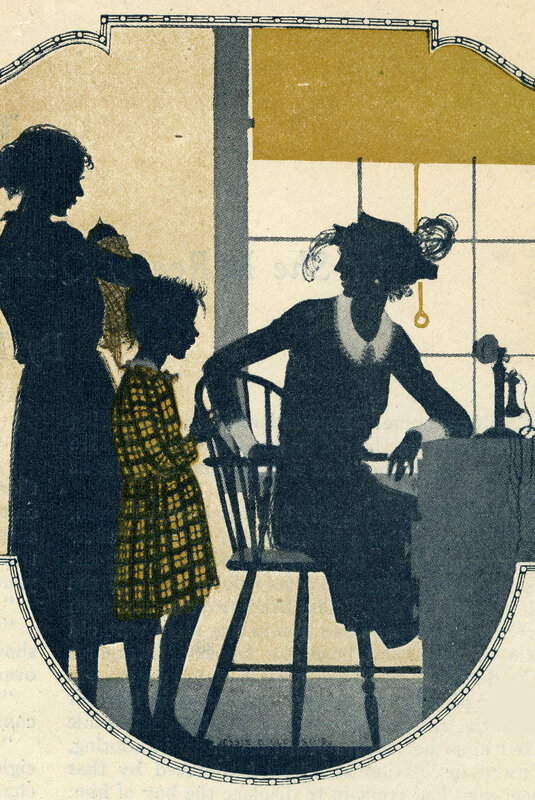 detail of illustration for Pictorial Review, January 1922. Julie Doucet, portrait from Missing, 1992. I will come in for class on Monday and expect to see a stack of 100 pictures in front of each of you, numbered. I will confirm that they are all there. Be aware that figures need not be (sharp intake of breath) The Figure, but rather pictures of people. Petroglyph Group, Fremont culture, Nine Mile Canyon, Utah. Circa 700 to 1300 CE. Photo by Stan Strembicki. To make an obvious point: this will be a challenging process. For starters, no matter what you do first, after 10 or 12 images you will have become bored and fatigued. Then it will occur to you that you have another 88 pictures to go--one for every key on a piano. Almost certainly you will spend too much time on some of your early efforts, which will annoy and possibly alarm you. 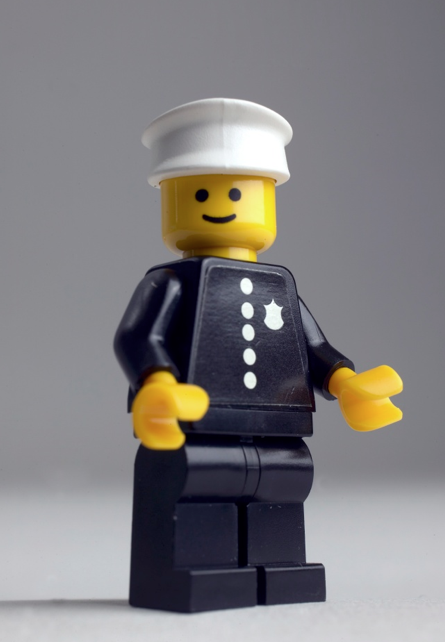 A Lego policeman, reminding us the range is broader than we imagine. David Stone Martin, Jam Session, illustration for record jacket, Mercury Records, circa 1960. I entreat you to make use of diverse media, from paint to collage to ink to (a few) digital images. As importantly, vary your method. Go outside and draw people playing soccer or walking their dogs. Draw at dinner. Watch a movie and whack out pictures of the characters. Draw people from memory. Invent people. Mickey may not be people, strictly speaking, but his gigantic hands and feet are relevant for cartoon personages. From Steamboat Willie, 1928. Or people among trees. Milton Caniff, the Steve Canyon Sunday strip published on October 14, 1947. In a weekend languor–ooh, maybe another time–a Robert O. Reid Collier's cover girl, from October 14, 1939. Good luck everybody! D.B. 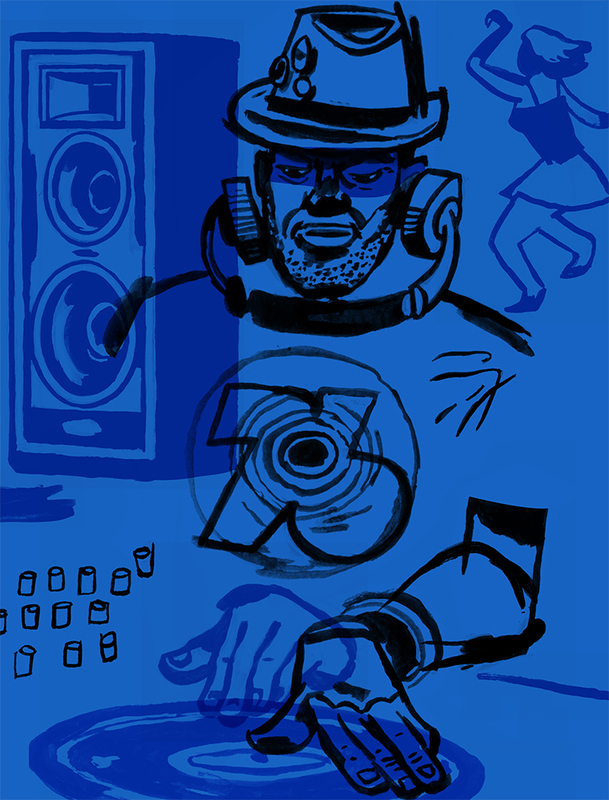 Dowd, Dee Jay Dude, Music Series 2014. Clara Elsene Peck, cover illustration Theatre Magazine, March 1922. Ed Benedict (?) Judy Jetson, Astro and Elroy Jetson, Character Designs for the Jetsons, Hanna-Barbera Productions,, circa 1960. The source drawing seems to have been scanned and live-traced, a regrettable choice. Harry Beckhoff, detail, cover Illustration, The Elks Magazine, April 1950. Harry Beckhoff, "You must take this thing out of here," MIndy says, "especially as calfs are seldom housebroke." Interior fiction illustration for Collier's, June 12, 1941. Some different French figures, also rendered in line, printed several hundred years earlier: Death makes new friends, 15th or 16th century. The skeleton with the dark patch on his belly isn't a skeleton, but a dried-out partially decayed corpse, probably washed from an overcrowded (five or six deep) Parisian grave during a storm. Gustav Klimt, Adele Bloch-Bauer I. 1907. Fluctuating between forest and trees. Richard Scarry, in Cars and Trucks, a Golden Book. 1951. A detail of a bus-boarding process. Elegance is possible, too. From Gerlach's Allegories, 1900.